Hello guys! This is my latest work: a custom painted HGBF 1/144 Amazing Red Warrior from the Build Fighters series. 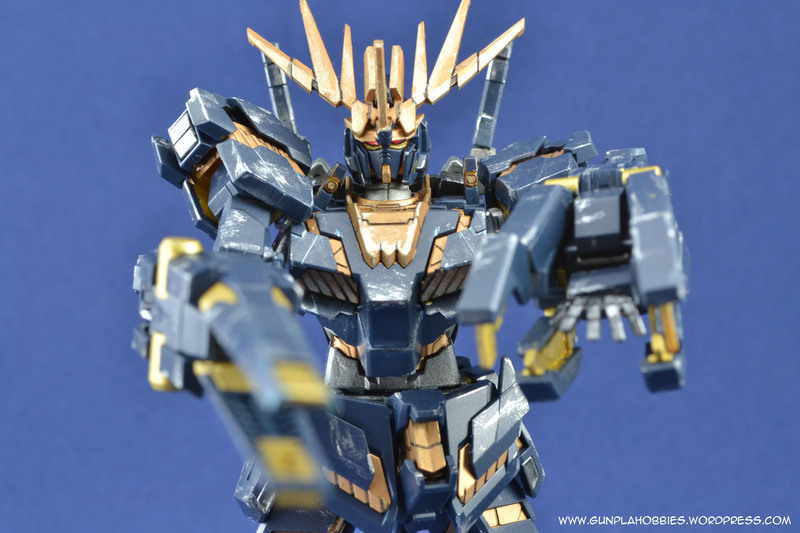 This is actually the product of a Gunpla hand-painting tutorial article I wrote for a private company. Too bad I can’t post the article on my own blog because of SEO concerns. But of-course I will create a new one so that I can post a Gunpla hand-painting tutorial for my own blog. 1. Usual nib mark cleaning. 2. Hand-painted all inner frame parts and base coating of weapons using Tamiya Gun Metal. 3. Hand-painted vulcans on the head unit and on the waist unit using Tamiya Dark Iron. Thrusters on the shoulders are also painted using Dark Iron. 4. Hand-painted details using a combination of Tamiya Gold Leaf, Copper and Flat Aluminum. 5. Panel lining using Copic Multiliner. 6. Applied custom water slide and dry transfer decals. 7. Top coated all non-metallic parts with Bosny Clear Dull/Matte spray can. And viola! Enjoy the photos! I present to you MG 1/100 RX-75 Guntank! I won this MG kit last year in a raffle during a Gunpla competition. I did not win the competition but I was lucky enough to be a raffle winner of an MG kit, it’s a better prize than winning the consolation prizes. I procrastinated at building him since I wanted to build more HG kits first before venturing into MGs. Now that he’s been in the box art-less box far too long, I decided it’s time to start building him and apply what I’ve learned from the past year in experimenting with my HG kits, and also with that, I’ll start building more MG kits. 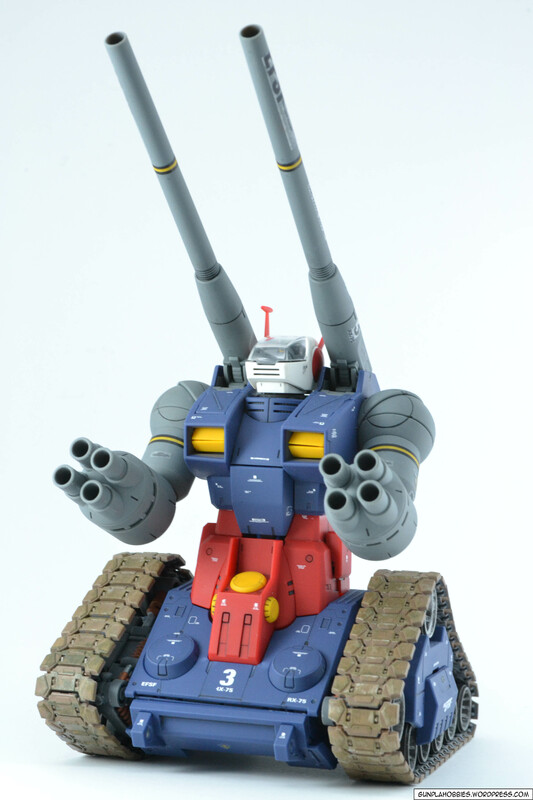 Though there are a lot of HG kits that I want to have and build.